The HTC U11 was announced today in Singapore. 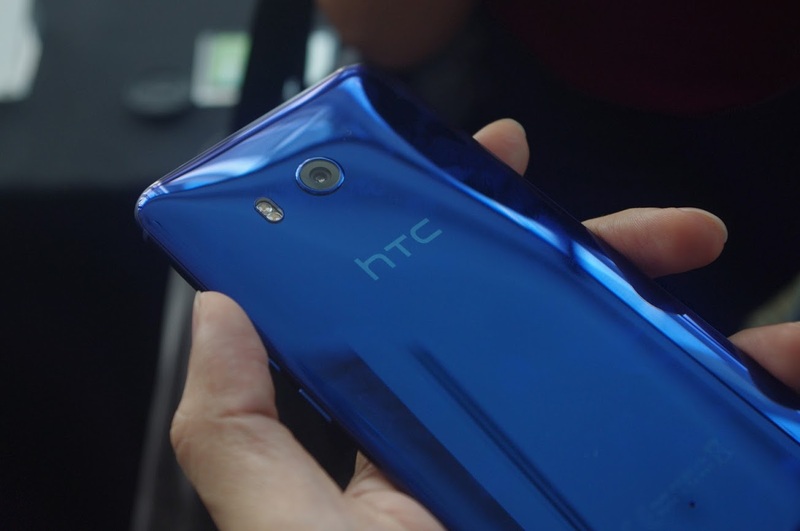 The HTC U11 stand out feature is the squeezable edge, letting you take selfies or access your favourite apps just by squeezing the sides of the phone. But that’s not all, the HTC U11 IS a flagship that comes with 128GB of storage and a top end camera. No worries here. The HTC U11 comes with the latest Snapdragon 835, a class leading 6GB of RAM, and 128GB of storage. The display is a 5.5″ Quad HD display, with the usual HTC Super LCD technology. 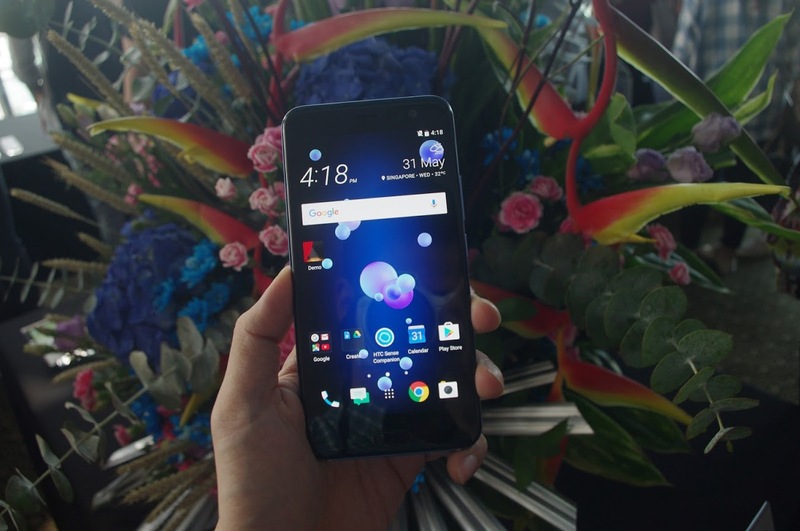 The HTC U11 adopts a traditional 16:9 ratio display, and retains the hardware home, back and recent apps buttons. Similar to the U Ultra, there’s a fair bit of bezel space, between the buttons and the LCD display. When compared to what Samsung and LG has done in terms of maximizing the display to body ratio, the HTC U11 feels ancient in that regard. But flip the HTC U11 around and it’s a gorgeous sight to behold. The new Amazing Silver and Solar Red complements the Sapphire Blue colour options and they are a sight to behold. 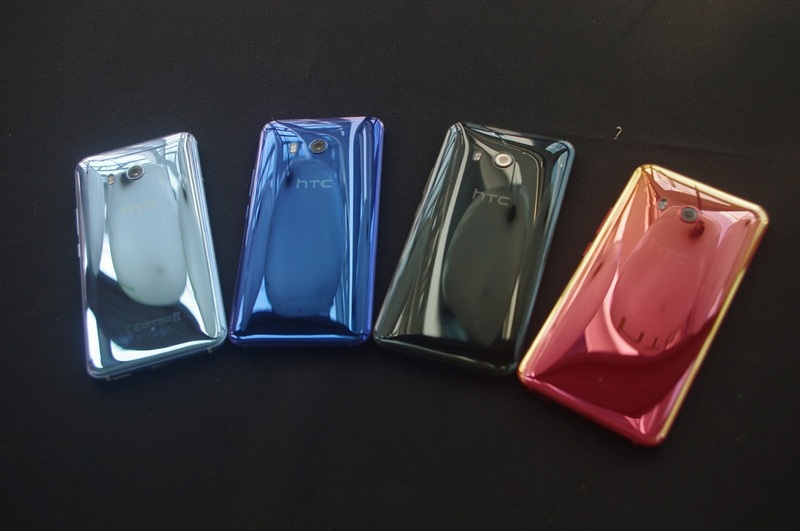 In terms of the surface finish, HTC does stand out compared to what others have done with glass-backed phones. has been removed, but at least this time around, a 3.5mm to USB-C adapter has been included. Also, the 3.5mm to USB-C adapter has been tested to be universally compatible, and would feature an onboard 192khz/24 bit Audio DAC. One of the big features this time around has to be the Squeeze. I am on the fence on this one. While I think it is quite easy to use, and there are unique scenarios where a squeeze is significantly more convenient. I am just not sure how practical it would be. Time will tell. I admire HTC dedication in terms of making the shortcuts adjustable within your target app of choice, They even let you customise the specific action (whether a on screen tap or double tap). Out of the box, the HTC U 11 includes a clear casing to protect your phone, and the case has a cutout area for you to squeeze. More third party case support should be in the pipeline. The HTC camera has also been improved. The HTC camera leads the DxOMark with a score of 90. The new camera is certainly impressive. It has a bright f/1.7 aperture, uses dual-pixel autofocus, 1.4um pixels and both optical image stabilisation (OIS) and electronic image stabilisation (EIS). There is also improvement on the video recording end – with improved audio recording. The HTC U 11 has a microphone array to allow you to capture audio from all direction – 360 audio, and will also be smart enough to cancel and amplify audio accordingly when you zoom in to a subject when video recording. This emphasis on audio recording also improves the next feature, which is always on recording. The U11 will ship with Google Assistant support, but Amazon Alexa is on its way. So you can use both “Ok Google” and “Alexa” keyword for your favourite assistant. Or just talk to both. 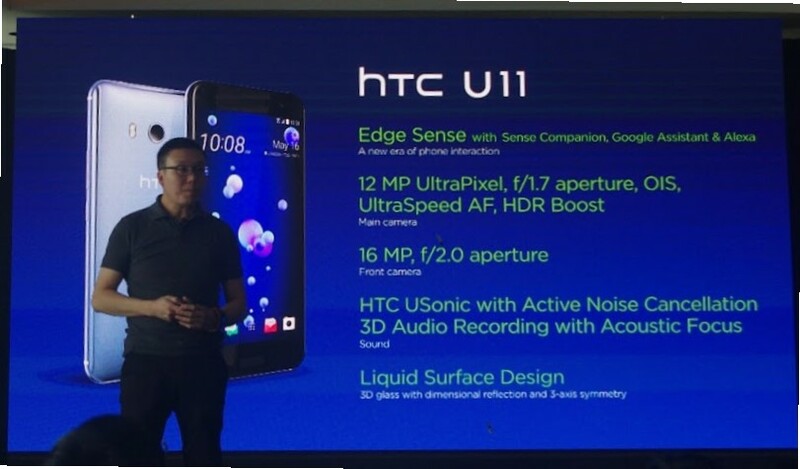 The HTC U11 will be available in Singapore from 10 June 2017. Customers can pre-order the HTC U11 exclusively at Singtel from now until 11:59pm on 8th June 2017. Pre-order customers will also receive a free HTC 10,500mAh Powerbank worth S$69 and stand a chance to win an HTC Vive and MSI Apache Pro Laptop, total worth S$3,898!